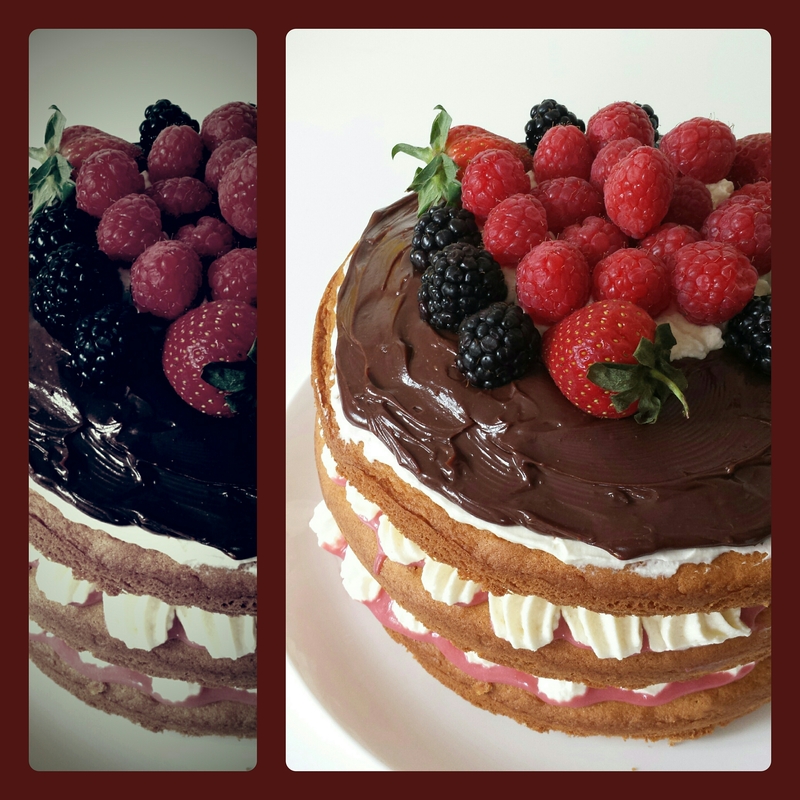 When I bake and I do it very often with my husband, who is, might I say, absolutely amazing in the kitchen, I feel happy, simply happy…so to welcome you all into our kitchen, nothing speaks louder than a delicious cake recipe! For all the berry lovers out there, enjoy! Put the berries, sugar and lemon juice in a small saucepan and cook over medium heat until the berries start to burst and sugar is dissolved. Blitz the berries in a food processor until you have a smooth purée then strain to remove all the seeds. Return to the saucepan and add the butter. Cook over medium heat stirring continuously until butter is melted. Take off the heat. Cool completely before using to fill the cake. Preheat the oven to 180C | 350F. Mix all the dry ingredients (flour, sugar, coconut, baking powder, soda & salt) in a bowl. Add the eggs, mixing well with each addition. Add the buttermilk, lemon zest and vanilla extract and mix on low then high speed for a couple of minutes. Divide the batter (3) into the prepared tins and bake for 25-35 minutes depending on tin size. The cakes are ready when springy to the touch and a skewer inserted in the centre comes out clean. Cool on a wire rack and then gently tap the cakes out of the tins. Make sure they are completely cool before frosting. Decorate with a selection of fresh berries and dust with icing sugar if you like. :))))) That is probably one of the reasons, but he is a master in the kitchen, so I think I am happy he is there to share the love!